Abstract—The ability of work collaboratively is highly valued to improve students’ cognition in today’s workplace, especially in the area of education which was supported by information and communication technologies. Learning environment of classroom must strive to support the development of collaborative problem-solving activities. In this paper, we present a constructivist problem solving activity based on the multi-screen and multi-touch teaching system for fostering the development of cognition in classroom, based on which we conducted a 2 × 2 experimental design in the dimensions of learning environment and learner's prior knowledge to explore effects on students’ primary and advanced cognition. Findings from the experience provide an indication that the main effect of prior knowledge factor on the primary cognition and the main effect of learning environment factor on the advanced cognition were significant. In addition, a qualitative evaluation to capture students’ thoughts and feelings about participating in the problem solving activities was conducted, results show that the ability of information expression especially to present work to other group members still should be improved. Index Terms—Collaborative problem solving, multi-screen and multi-touch teaching system, primary cognition, advanced cognition. 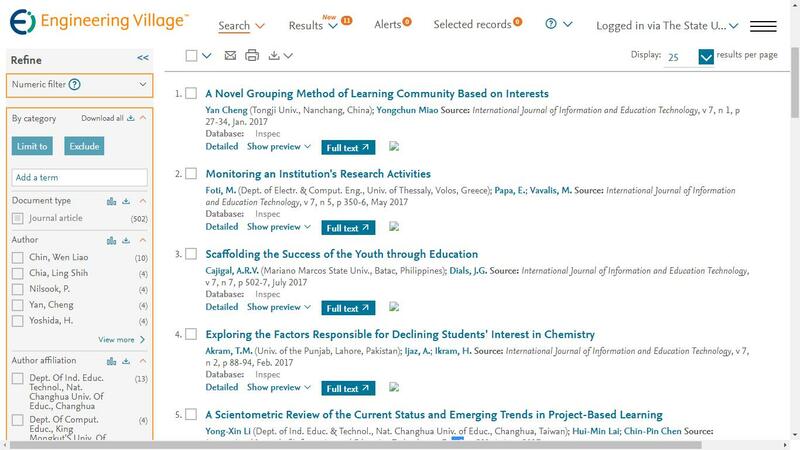 The authors are with the School of National Engineering Research Center for e-Learning, Central China Normal University, Wuhan, Hubei, 430079 China (e-mail: zl.zhang@mail.ccnu.edu.cn, ly0104@mails.ccnu.edu.cn, hailiu0204@gmail.com). Cite: Zhaoli Zhang,Yang Li, and Hai Liu, "Research on Collaborative Problem-Solving Supported by Multi-screen and Multi-touch Teaching System," International Journal of Information and Education Technology vol. 9, no. 2, pp. 105-109, 2019.